THURSDAY, Feb. 1, 2018 (HealthDay News) -- Certain breast cancer treatments may take a toll on the heart, but women can take steps to minimize the risks, according to a new report from the American Heart Association. It's well-known that treatments such as chest radiation and certain drugs can damage the heart, sometimes leading to chronic heart disease. The AHA report, published Feb. 1 in the journal Circulation, gives an overview of the issue as well as some advice for women. "The intent is not to scare women away from any breast cancer treatments," stressed Dr. Laxmi Mehta, the lead author of the report and director of the women's cardiovascular health program at Ohio State University. Rather, she said, the most important question women should ask when making treatment decisions is, "What is the best treatment for my breast cancer?" "Then it becomes, 'What are the side effects?' " Mehta said. "If there is a risk of [heart effects], you can ask, 'How will I be monitored?' "
Because the heart risks associated with certain cancer treatments are well-recognized, those types of discussions should already be happening, according to Dr. Richard Steingart, chief of cardiology service at Memorial Sloan Kettering Cancer Center in New York City. From the start, women should have their cardiovascular health evaluated, Steingart said. Then, they and their doctors should try to get any heart disease risk factors under the best control possible. When it comes to chemotherapy, any effects on the heart typically show up in the short term and can be detected during treatment, he said. For example, drugs called anthracyclines -- such as doxorubicin -- can damage heart muscle cells, sometimes leading to chronic heart failure. In heart failure, the muscle can't pump blood efficiently enough, leading to symptoms such as breathlessness and fatigue. Heart failure is also a possibility with drugs that target the HER2 gene, such as Herceptin (trastuzumab) -- though it's largely reversible, according to the AHA report. Women on those medications will have their heart function monitored during treatment. When signs of trouble are detected, Steingart said, the "rule of thumb" is to continue treatment, if possible. 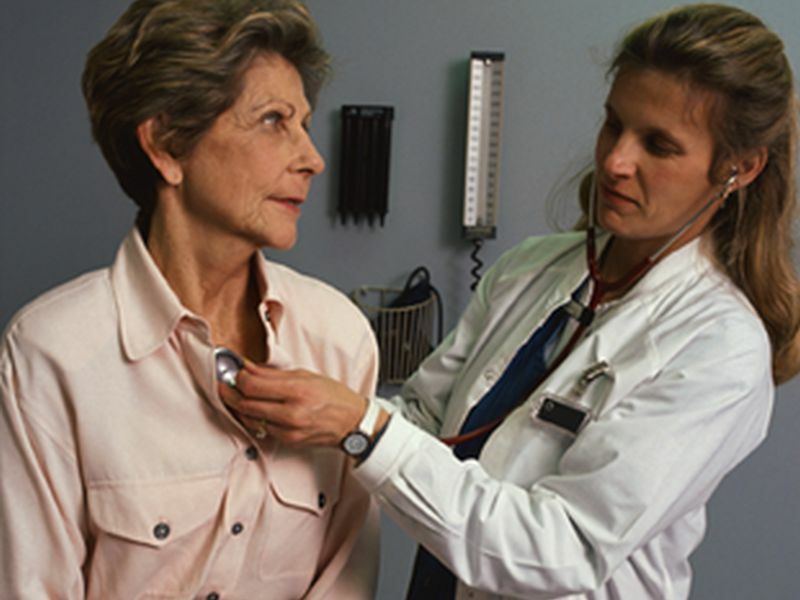 Standard heart medications such as beta-blockers and ACE inhibitors may improve heart function in women who develop side effects during treatment, according to the AHA report. In some cases, women might need a break from their cancer treatment to see whether any heart effects reverse, whereas others might need their treatment plan changed, the report noted. Steingart stressed that for any one woman, the risk for serious heart effects is generally low. It also varies, depending on a woman's risk factors for heart disease -- such as age, high blood pressure and smoking. If a woman already has heart disease when she's diagnosed with breast cancer, Steingart said, her cardiologist should be consulted when treatment is being planned. Some heart effects, such as those from chest radiation, may not show up until years later. According to Mehta, women should pay attention to any potential heart disease symptoms such as breathlessness and chest pain -- and then make sure they tell their doctor about their cancer treatment history. Those types of symptoms may or may not be concerning on their own, she said. But if you tell your doctor you had chest radiation years ago, that would raise a red flag. For all women, a healthy lifestyle is vital during and after breast cancer treatment, both Mehta and Steingart emphasized. "You don't want to worsen your risk factors for heart disease," Mehta said. "So remember that a healthy lifestyle is imperative." Plus, Steingart noted, lifestyle choices may help women get through their cancer treatment. "We believe that if you keep up a healthy lifestyle -- stay active, eat a healthy diet -- your cancer treatment will be easier to tolerate," he said. The good news is that more and more women are beating breast cancer, according to Mehta. Still, they will need to pay attention to their risk for heart disease -- the No. 1 cause of death for American women, according to the U.S. Centers for Disease Control and Prevention. In fact, the AHA says, breast cancer survivors -- especially those older than 65 -- are more likely to die of heart disease than a cancer comeback.